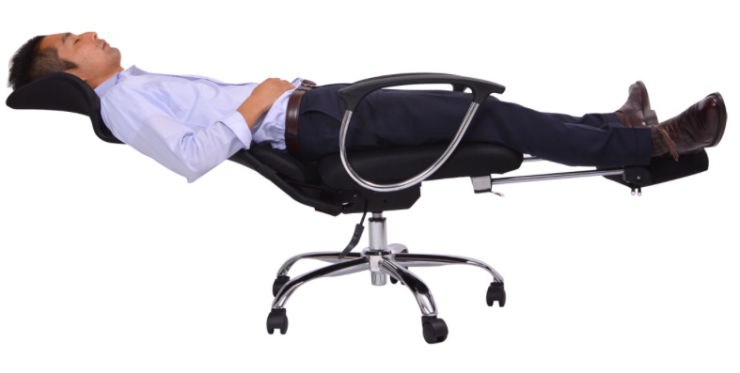 Napping In Your Cubicle? Totally Possible | OhGizmo! Done are the days where you need to find a sofa somewhere in the office to catch a couple of minutes of shuteye during your break. The Desk Chair for Sleepy Workers by Thanko turns from a regular office chair into a full fledged bed at the pull of a lever. In seconds you’ll be able to get horizontal and get that power nap in, so the rest of your day can be as productive as possible. It’s 29,800 yen (US$241). The only problem is you’ll have to deal with a Japanese website to order the thing.